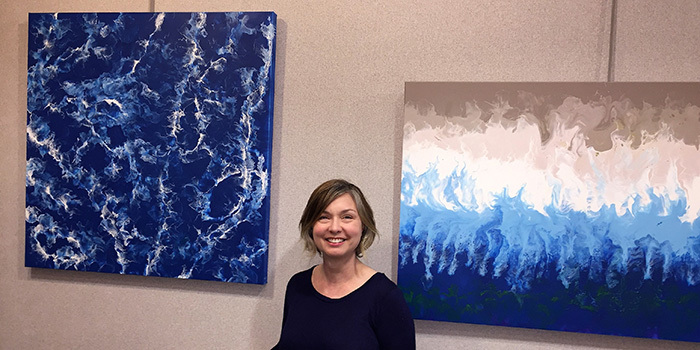 An exhibit of paintings by artist Stephanie McDairmant of Canary in a Coal Mine Art, will be on display at the Warsaw Community Public Library the month of September. WARSAW — The Guardians are back doing what they do best bickering amongst each other and saving the galaxy. If you liked the first Guardians of the Galaxy then you will undoubtedly like the second installment as well. The opening scene is epic and it completely sets the tone for the entire movie. With plenty of action, great comedic scenes, and some solid character development it is no wonder that this sequel is even better than the first. “Guardians of the Galaxy, Vol. 2’s” ensemble cast is outstanding. Many will say Baby Groot stole the show, but Michael Rooker, Yondu is even more of a scene-stealer. Rooker can even make a line like “I’m Mary Poppins ya’ll!” sound cool. Kurt Russell makes a fine addition as Peter’s father. The most praiseworthy aspect of “Guardians of the Galaxy, Vol. 2” is that it has a heart. Where the first film’s main themes were of mothers and friendship, the second tackles fathers and family. Filmmaker James Gunn gives his characters space to grow emotionally and the audience cannot help but empathize with the mismatched heroes attempts to create their own little nuclear family when the entire galaxy seems intent on alienating them. “Alien Covenant” is the second prequel to “Alien”, the seminal film that launched a franchise. It has the original horror and violence of Alien. It answers questions about God, deep poetry and who made whom? The film is disturbingly visceral, many would say a little too deep. It bridges the gap between Prometheus and Alien. With bone crushing, blood spatting attacks, carnage and violence on epic high-end CG effect levels, composed in the true style of Alien it makes for a gripping on the edge movie. True to the original Alien franchise: A crew is “born” from hyper-sleep into the nightmare and horror, which is death and suffering incarnate in the form of the Xenomorph. Danny McBride was a pleasant surprise. Normally he plays comedic, cheesy roles. He was outstanding and rose to a more serious role. Michael Fassbender was incredible as well. While the end of the movie is definitely predictable it did what it meant to do, answered many questions, opened the door for a new adventure and left a great cliffhanger. In addition, for all of you who are wondering…yes chest bursting is back!